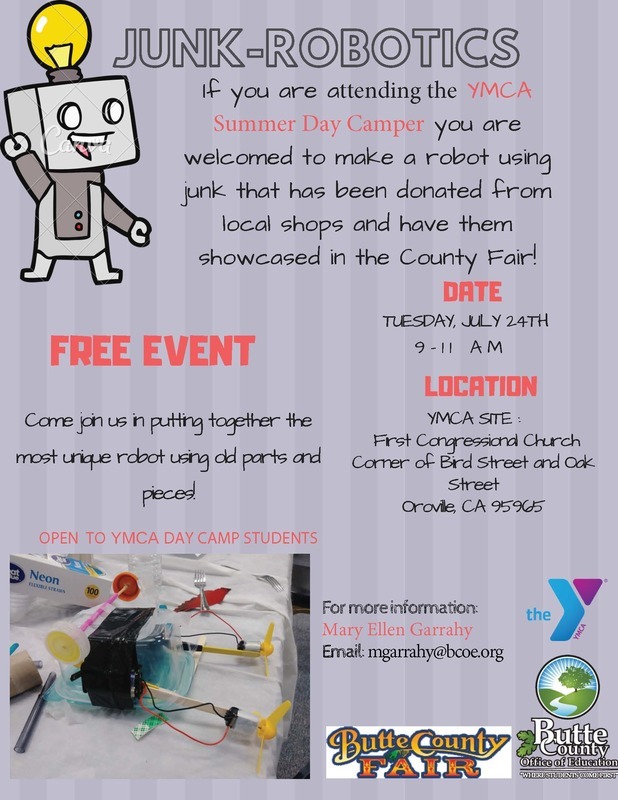 Butte County Office of Education Student Events partnered with YMCA to host another engaging Maker's Day Workshop for young engineers! K-12 students worked in teams to build a motorized small robot out of recyclable materials donated by local businesses. Creativity was off the charts! All robots will be entered into the Butte County Fair in the new Robotics Still Exhibit division. Members of the Butte Built Bots and Butte County Office of Education have been invited to judge the robots on August 16th.